Like many military spouses, while I love to cook, I am often plagued by that feeling of panic at 3:30 p.m. that accompanies the thought, “What on earth am I going to make for dinner? !” I want something nutritious, creative, and appetizing on the table that takes advantage of seasonal produce, eliminates food waste, and keeps my dietary goals in mind. And frankly, dreaming that up on my own every afternoon gets exhausting. Luckily, there are several resources available to customize meal planning based on your budget and recipe preferences. 1. Subscription meal planning services. These are services that you pay for monthly (most offer discounts if you buy a larger chunk of time, like six months or a year) that deliver weekly, bi-weekly, or monthly meal plans to your inbox or a dedicated app on your smartphone or tablet. Emeals is very popular because of the sheer number of menus it has available, including vegetarian, Paleo, clean eating, slow cooker, and low carb plans, among several others. They also have plans for breakfast and lunch and can customize grocery lists to a number of popular grocery stores in the United States. $3-7/month, depending on plan and length of plan purchased; seven dinners per week. Food on the Table can customize for dietary preference (low carb, vegetarian, lactose free) and cooking method, like low-prep and slow cooker. They also cross-reference with your preferred grocery store to maximize your savings to ensure you get to take advantage of the most sale items as possible. $5-10/month, depending on length of plan purchased; five dinners per week. Paleo Plan is a Paleo-focused meal plan that you can customize based on family size. Paleo Plan also offers a workout plan that can be purchased for an additional cost. $8-10/month, depending on length of plan purchased. Two-week free trial; seven dinners per week. 2. Recipe Organizers and meal planners. These allow you to input your favorite recipes and devise your own custom meal plans. Especially great for those who keep an extensive recipe list at home! Most will also generate a shopping list based on your recipes. 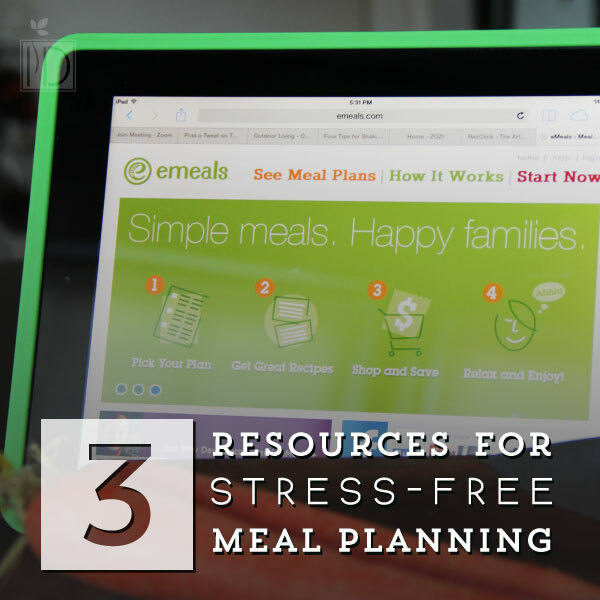 You can plan up to a month of meals at a time on some services. Talk about a time-saver! Plan to Eat is a small, family-owned business that allows you to input your favorite recipes and then drag and drop them onto a calendar. They have an app that creates a grocery list and also includes a wonderful and easy recipe importer so you don’t have to spend a whole day typing your favorites in by hand. ($3-5/month, depending on length of plan purchased. SayMmm is an online service that integrates with an app. It allows you to clip recipes and plan up to a month’s worth of meals at a time. It will also create a grocery list for you and you can share your favorite new recipes with friends. Free. Menu Planner App is an app that allows you to import your favorite recipes, keep track of your pantry inventory, and track total nutritional information in all your meals. $2.99 one-time purchase on the Apple app store. 3. Community-Supported Agriculture. CSAs are organizations committed to local produce delivery. That means the fresh fruits and veggies you get from your local CSA are seasonal and from your own backyard! The price of CSAs varies by location and the amount of food you purchase. Some require you to buy a share upfront and others allow you to pay as you go. Visit www.localharvest.org to find a CSA, farm, or farmers’ market near you. Most CSAs will publish the contents of the upcoming delivery in a website or email and some even offer recipes including the currently harvested produce. CSAs are an excellent way to support local agriculture, eat seasonally, and try new fruits and vegetables. Hopefully with these three types of resources you’ll be able to break free of the winter meal planning doldrums and spice up your evening meal routine with little effort and without breaking the bank. Do you plan your meals or fly by the seat of your pants?